Barcelona have reportedly sent scouts to watch Dinamo Zagreb winger Dani Olmo, with Manchester United monitoring his progress. The 20-year-old spent seven years at the Camp Nou at youth level between 2007 and 2014, before eventually moving to Zagreb in a swap deal with Alen Halilovic. The Spaniard has thrived in the Croatian First Football League over the last few years and is now a key member of the Dinamo squad, with over 50 appearances under his belt for the first team to date. According to Diario Sport, Barcelona have been keeping an eye on their former charge in recent months and are exploring the possibility fo re-signing Olmo in the new year, but they could face stiff competition for his signature from Man United. Blaugrana scouts will watch the youngster take part in a U-21 Spain international on Wednesday evening against Denmark, where he is likely to feature in the starting XI, giving him the perfect opportunity to showcase how much he has improved since leaving Catalonia. However, Diario Sport reports that Zagreb have slapped a €25 million price tag on Olmo’s head and won’t accept a penny less than that from potential suitors in the next transfer window, with Borussia Dortmund also interested in acquiring the former Barca starlet. Football Espana states that AC Milan and Valencia have already been knocked back in pursuit of Olmo, which clearly shows that the club is willing to do whatever they can to keep hold of their prized asset, with the January window now less than two months away. 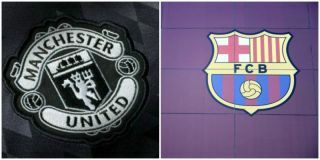 Jose Mourinho could do with fresh attacking talent in his current squad at United, but given Olmo’s history with Barcelona, he might just fancy another crack at the big time with the Spanish champions. This story could gather pace very quickly, particularly if more interested parties emerge after Christmas and Olmo continues to improve at such a dramatic rate.